Samsung Galaxy S5 vs LG G3: Who Wins? Watch out Samsung, Life’s Good (LG) recently unveiled a new version of its flagship smartphone, the “G” series, which is causing some commotion in the mobile industry. 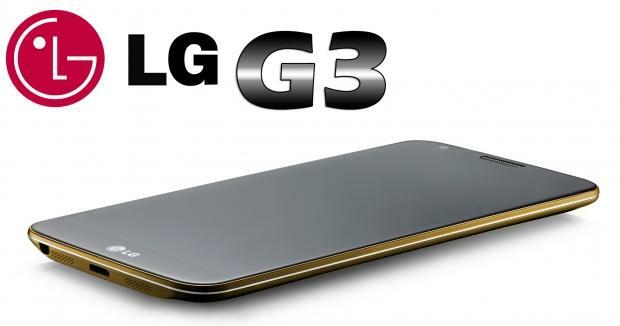 The new LG G3 is a high-end smartphone that rivals leading mobile brands like HTC, Apple and the Google Nexus series. But how does it compare to the Samsung Galaxy S5? The Samsung Galaxy S5 is often touted as the best all-around display among any smartphone currently on the market. It’s 5.1 inches in diameter and boasts 1920 x 1080 pixel resolution. Surprisingly, however, the LG G3 has managed to trump the Galaxy S5’s display, as it features a 5.5-inch screen with quad-HD 2560 x 1440 pixel resolution. I’m a huge fan of the Samsung Galaxy S5, but I have to name the LG G3 as the winner for display. Now let’s talk about what really matters in a smartphone: the processing power. Both the Samsung Galaxy S5 and LG G3 are powered by Qualcomm’s quad-core Snapdragon 801 processor running at 2.5GHz. There were rumors that LG would use an upgraded version of the Qualcomm processor — the 805 — but they ultimately chose the safe route by using the 801. So, who’s the winner in this category? With both devices using the 801 processor, there’s no clear winner. At 145 grams, the Samsung Galaxy S5 weighs less than the 149-gram LG G3. The Galaxy S5 is also smaller in terms of height, width and depth. As a result, we have to name the Galaxy S5 the winner in size. Both the Galaxy S5 and LG G3 are available in two different models: 16 GB and 32 GB models. In addition, there’s a microSD slot available on both of these devices, allowing for an even greater amount of storage. The Samsung Galaxy S5 features 2 GB RAM, whereas the LG G3 is available in either a 2 or 3 GB RAM model. If you frequently perform multiple tasks on your smartphone simultaneously, you should invest in the extra RAM. Because of the increased RAM availability, we have to name the LG G3 as the winner. You’ll find a whopping 16-megapixel rear-facing camera integrated into the Galaxy S5. The LG G3, on the other hand, features a 13-megapixel rear-facing camera. The bottom line is that nothing (as of yet) beats the Galaxy S5’s camera. Which smartphone do you think is the best? The Samsung Galaxy S5 or the LG G3? Let us know in the comments section below!